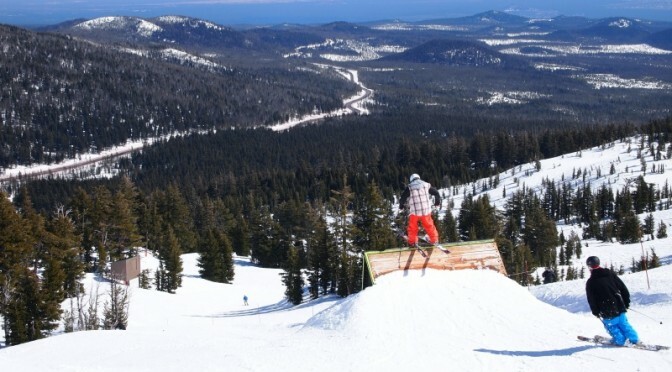 Bend, OR – Myles Bagley was an 18-year-old Bend resident and snowboarder with a season pass to nearby Mt. Bachelor in 2006. On February 16 of that year, Bagley crashed on a jump in the resort’s terrain park, fracturing two vertebrae that left him permanently paralyzed. Fast forward nearly nine years. In that period, Bagley’s $21.5 million litigation against Mt. Bachelor, Inc. has passed through the Deschutes County Circuit Court and the Oregon Court of Appeals before reaching the Oregon Supreme Court, which last month reversed the decision of the two lower courts and will allow Bagley’s lawsuit to proceed. Bagley contends that Mt. Bachelor was negligent in the in the design, construction, maintenance, or inspection of the jump upon which he crashed. Mt. Bachelor moved for summary judgment, relying upon the liability release signed by Bagley when he purchased his season pass. The trial court granted Mt. Bachelor’s motion to dismiss Bagley’s lawsuit, a decision which was affirmed by the Court of Appeals. Bagley appealed that decision to the Oregon Supreme Court, which found on Dec. 18 that “enforcement of the release would be unconscionable” and remanded Bagley’s case against Mt. Bachelor to the trial court. exist that preclude summary judgment in defendant’s favor,” Justice David Brewer wrote. Bagley’s lawsuit has thus been returned to the Deschutes County Circuit Court to proceed. No trial date has yet been set.